With the third novel of her Nemesis of the Gods saga, Catherine Cavendish shifts the mood and feel away from the Victorian Gothic of Wrath of the Ancients, past the New Gothic of Waking the Ancients, and into the realm of Modern Horror with Damned by the Ancients. It's a move I wasn't expecting, but one which works exceptionally well, perfect for exploring new facets of the mystery, and entirely suited to the new fears at its heart. The story takes us, once again, into the haunted halls and cursed cellar of Villa Dürnstein, once home to Dr. Quintillus. Where the first book saw a young woman facing those horrors, and the second a couple, this time we have a family - including a precious, slightly odd young girl and her dolls. The first half of the story has a very Poltergeist feel to it, and you'll understand how much of a compliment that is if you share my love for the original. The addition of a child is neither clichéd nor tedious, but entirely chilling. As for the hauntings inside the house, they are not dissimilar from the first two books, but experiencing them through different eyes changes the feel of the tale, leaving us to fear not for the woman at the forefront of the tale, but for that child. 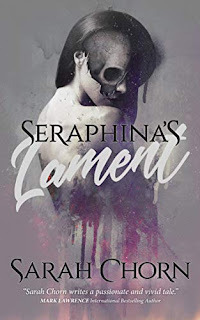 Once again, we get that abrupt shift in the second half of the novel to past events, exploring more of Dr. Quintillus' history, and shedding more light on the women in his life (and death). 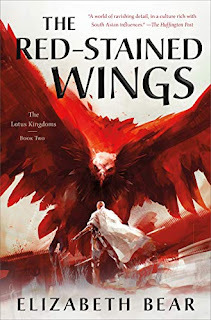 Maybe it's because all the pieces are starting to fall into place, but this time around that shift was neither as jarring as in the first book, nor as unwelcome as in the second book. What's more, it takes us away from the contemporary story just long enough for us to be suitably shocked by the developments waiting when we fast forward once again. 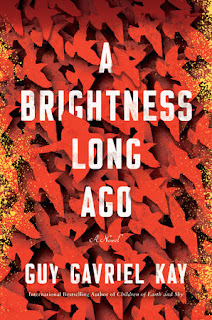 Somehow, against all odds and expectations, Cavendish has presented us with the strongest book in the series, finding ways to reinvigorate a haunting we thought already explored, and offering new surprises that lead to a satisfying climax. 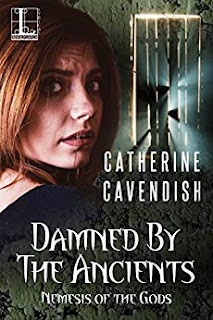 If Damned by the Ancients is then end, then it's a damned fine one, and if there are more stories to be told, then I look forward to seeing how Cavendish reinvents the tale next.